This is, I believe, an Apricot blossom. I am often asked how life is at our new house, and I tell them that it is always great. Even if the weather is bad, it is lovely to live here. Especially now, with all the flowers blossoming in the Spring. Yet it also means that with Spring here, we need to move fast and get our plants in the ground. I have not had as much time this week to plant as I have had some training with my work to complete… meaning that I have not been getting home till late. I also won’t have much time in the next week or two as I have Jury Duty to attend. 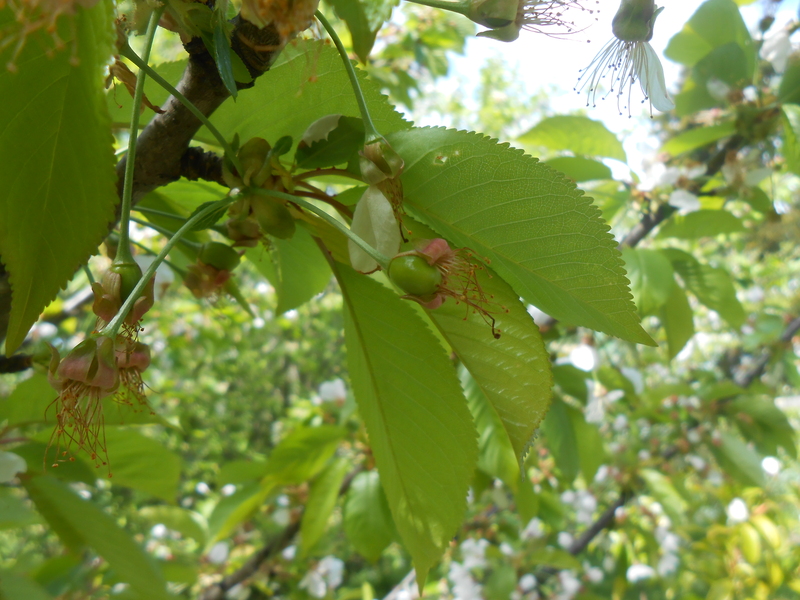 You can see in the above image the start of the fruit emerging from the blossom. I can not remember what type of fruit this is… I think I was told it was an Apricot tree, yet from the look of this I can’t be sure. Once I have seen all the trees fruit I will be sure to make a map and document the location of each tree. 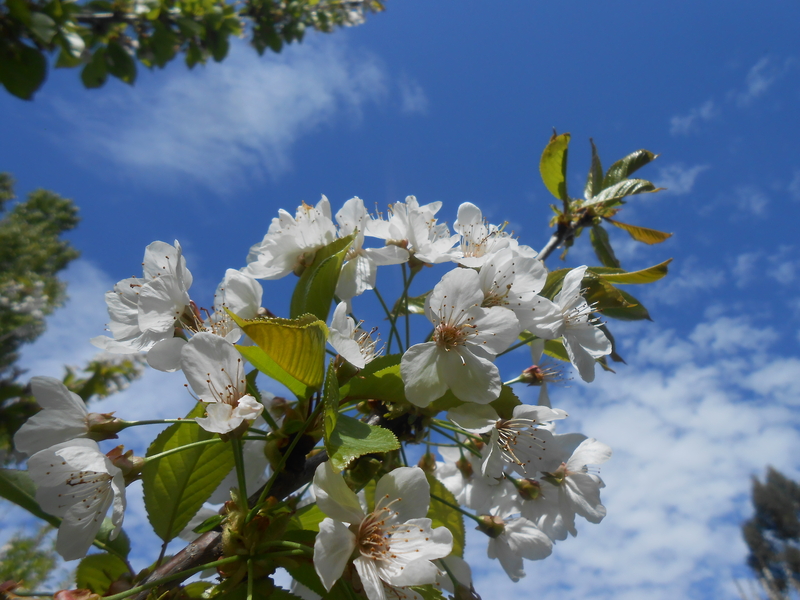 As well as the fruit trees, many of the other plants are starting to bloom. 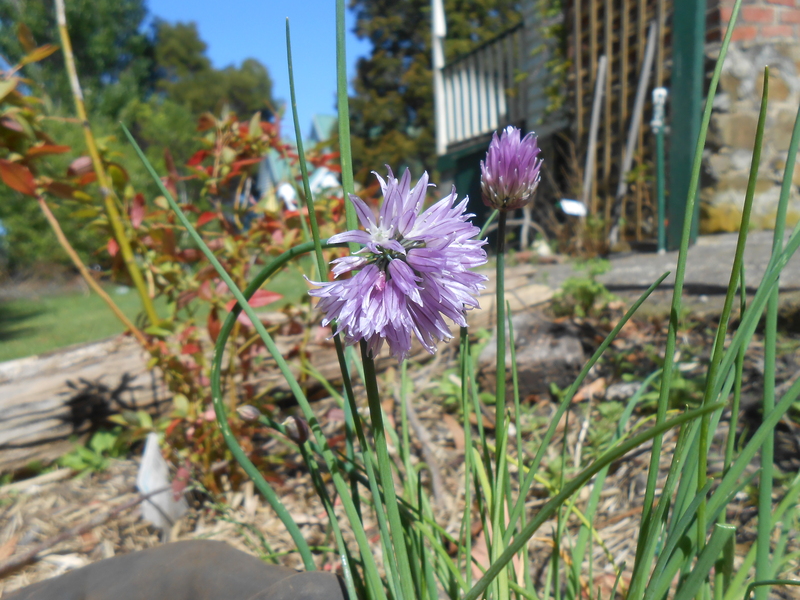 You can see here a small patch of chives which I planted a little while ago. I don’t use chive very often in cooking… maybe in an omelet or on some baked potatoes. The flowers from this have turned out to be quite pretty, and once they produce seeds I should have more chives than I could ever use. My Mushroom production is going very well. 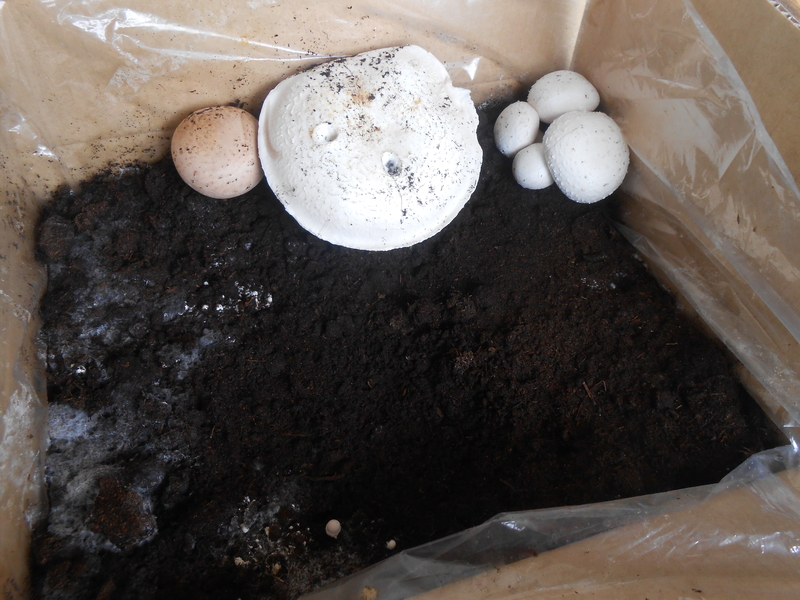 As you can see from the below picture, the first mushroom is ready for harvesting, with several more almost ready. I may have let that first one grow a little larger than I should have, yet it is a learning experience.